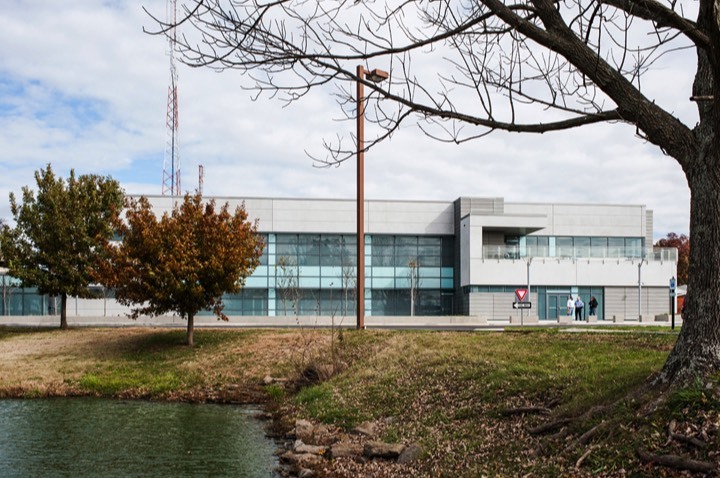 The new CEOC, located on the Boone National Guard Center in Frankfort, Kentucky, serves the entire Commonwealth during natural and civil disasters. 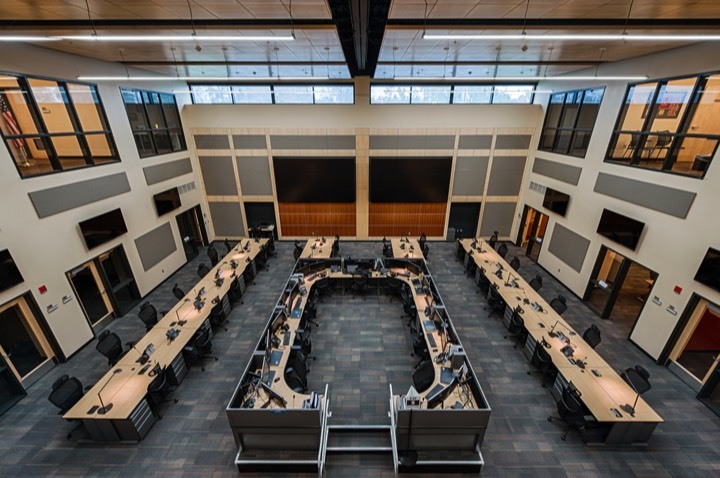 With more than 7,000 Soldiers and Airmen in 54 locations statewide, the new facility expands the ability of the Commonwealth to remain fully operational at all times, regardless of the situation. 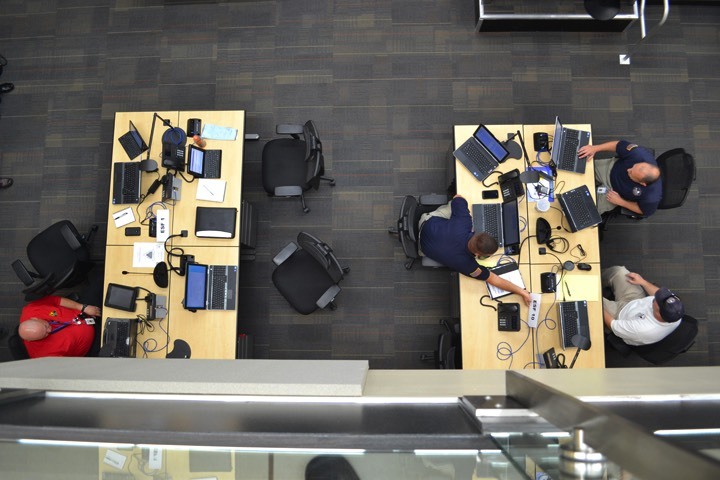 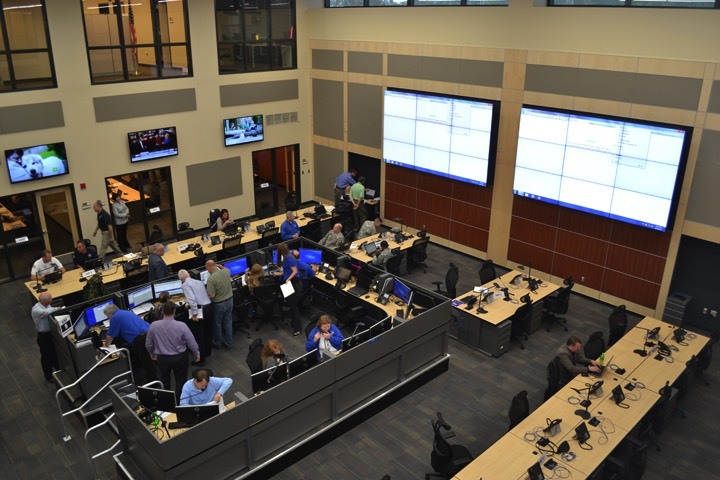 In partnership with AECOM, Omni worked with the Kentucky Division of Emergency Management, the Kentucky Department of Military Affairs, and the Division of Engineering and Contract Administration to design a state-of-the-art facility that supports 24/7/365 monitoring, and steps up during activation to support Kentucky’s 15 emergency support functions. 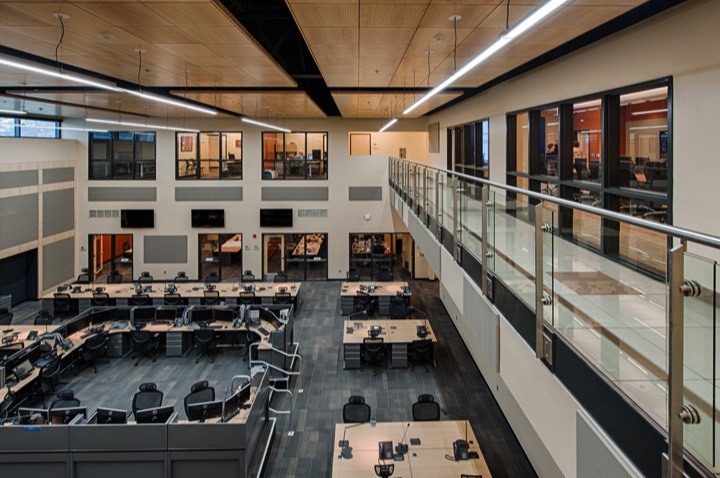 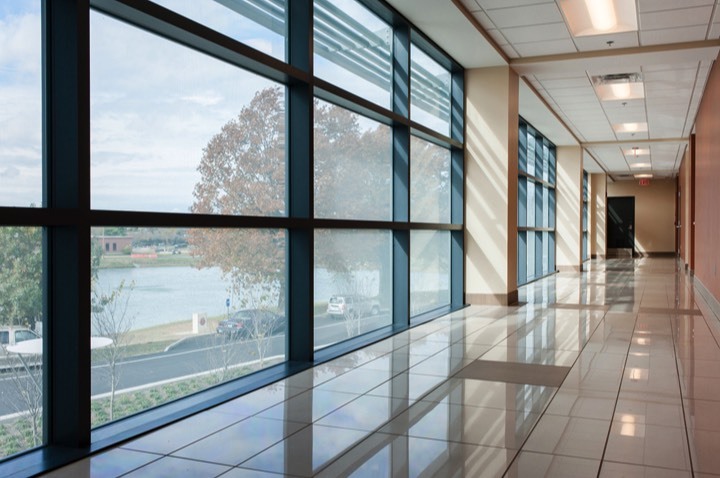 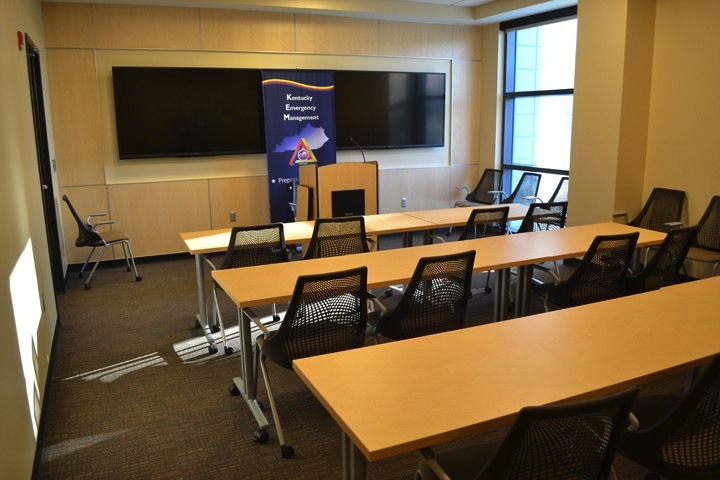 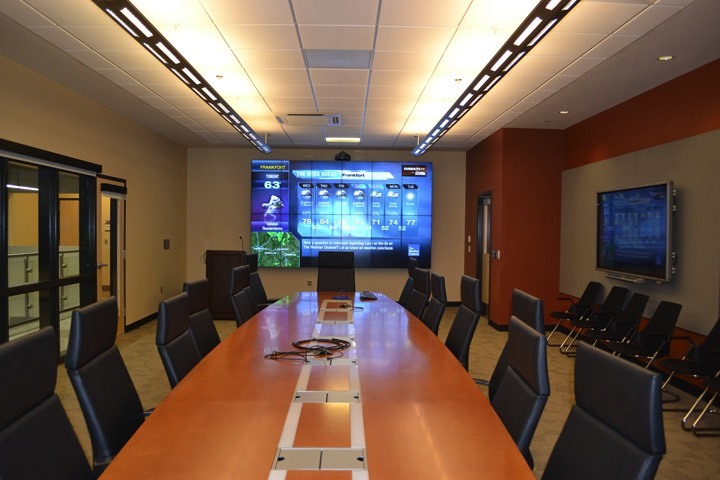 The facility incorporates more current stand-alone and redundant design features with the latest technology, and complies with DoD security standards to protect its users. 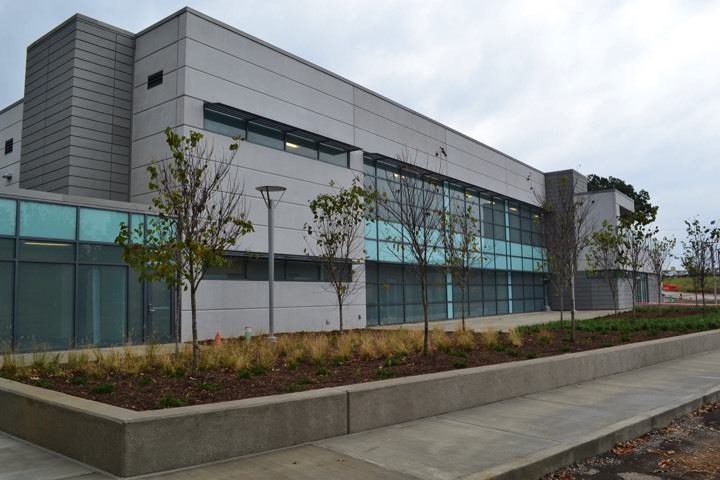 The facility was also designed to be compliant with the latest FEMA guidelines.